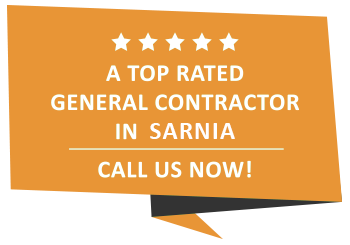 Commercial Pharmacy Construction | Sarnia | Carosyl Home Additions Inc. If you are planning on opening a pharmacy in the Sarnia area, you need to build a storefront that projects what your business represents: health, wellness and impeccable service. The look and feel of any business, particularly pharmacies, can be a huge influence on its success. So, while you might be tempted to spend your budget on all the fanciest bells and whistles, how sustainable is it in the long run? With how quickly technology becomes obsolete these days, you are much better off turning your storefront into a physical representation of marketing objectives. Creating a more welcoming, health-oriented space for all customers is what you need to do if you are going to make it in the long run. And to make sure that your marketing objectives of all things health and wellness come to life, you need to work with contractors who appreciate your vision. That’s why you need to work with Carosyl Home Additions Inc. whether you are renovating or building a brand-new pharmacy in the Sarnia area. Since 1986, Carosyl Home Additions Inc. has helped more Sarnia pharmacies build beautiful storefronts. We continue to be the most sought-after commercial pharmacy construction service in the Sarnia area because our experienced team understands that today’s consumers are among the most sophisticated than ever and that the environment plays a huge role in whether or not they will return to any given establishment. The single best way to leave a lasting, positive impression on your customers is to partner with Carosyl Home Additions Inc. to build your pharmacy to perfection. We love helping business owners come into their own and tell their customers who they are and what they’re all about. If you want to work with commercial pharmacy construction professionals who understand the art of collaboration, then give Carosyl Home Additions Inc. a call today at (519) 384-4587 today. Cost estimate planning and specifications. Commercial pharmacy construction can be an expensive project, which is why before we do anything, we want to make sure we have fully analyzed all costs and expenses are accounted for. We offer turn-key projects, which include architectural engineering, consulting services, all necessary permits and a pre-established construction to meet the specific needs of the client, and fixed or lump sum pricing. Project management. Collaborate with a team of professionals including architects, designers and engineers for the design and construction of a project. This service includes project scheduling and coordination of contracts for any sub-contractors needed for the project before and during the construction period. Quality workmanship. If we didn’t offer our clients the best quality of construction, there is no way we would have made it 30-plus years in this business. So, no matter what you have in mind for your pharmacy, we guarantee that we can accomplish it with the utmost quality provided it works for your budget. For experience commercial pharmacy construction services, call (519) 384-4587 today to speak with the team at Carosyl Home Additions Inc.